The November 29, 1919, Volume 2, No. 4, Whole No. 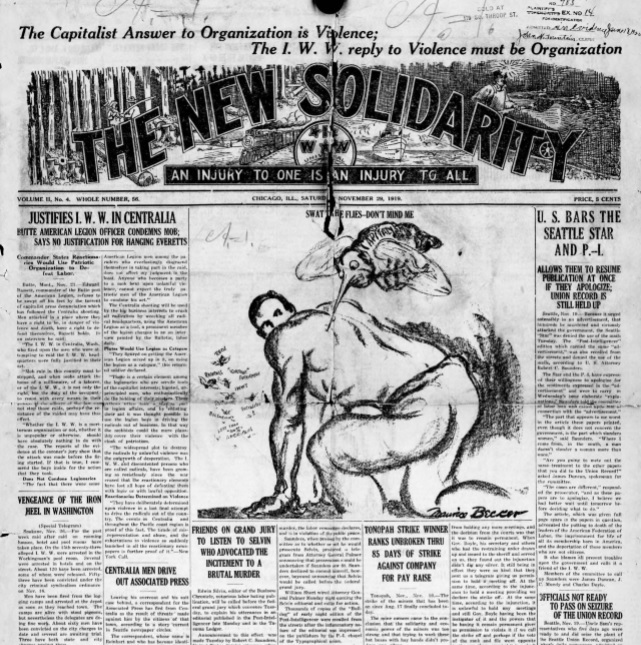 56 issue of The New Solidarity, a newspaper produced out of Chicago by the Industrial Workers of the World (IWW) from 1918-1920.